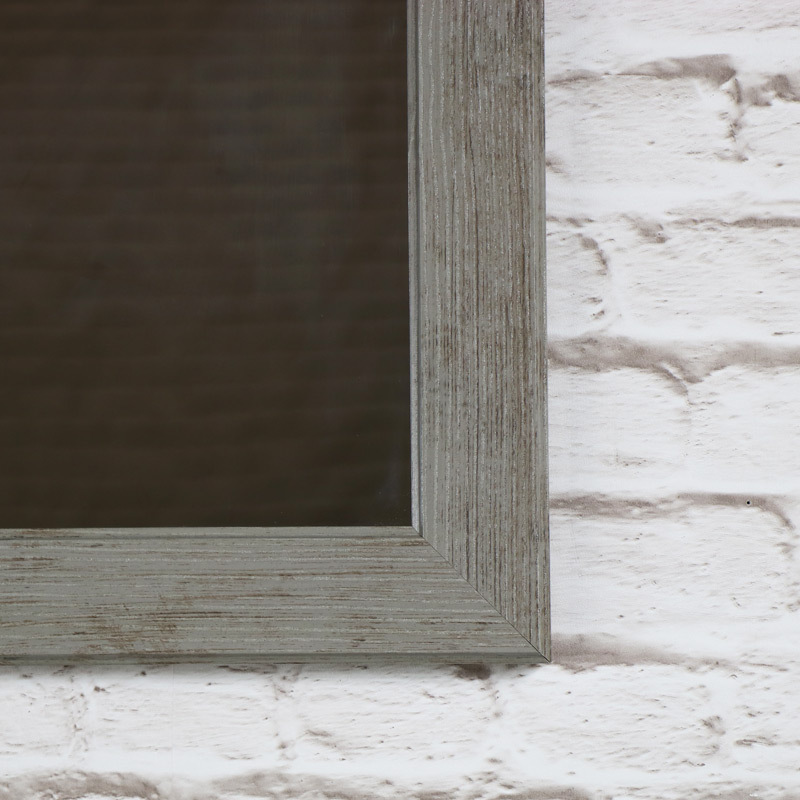 Add a rustic feel to your home with this wall mirror with a rustic washed effect grey frame. Simple but full of style and character, this will look great hung in a room with a rustic country theme. Use in the bathroom, hallway, bedroom or living room to add that finishing touch to your decor. Mirrors are a great way to add light and perspective to a room and add that finishing touch. 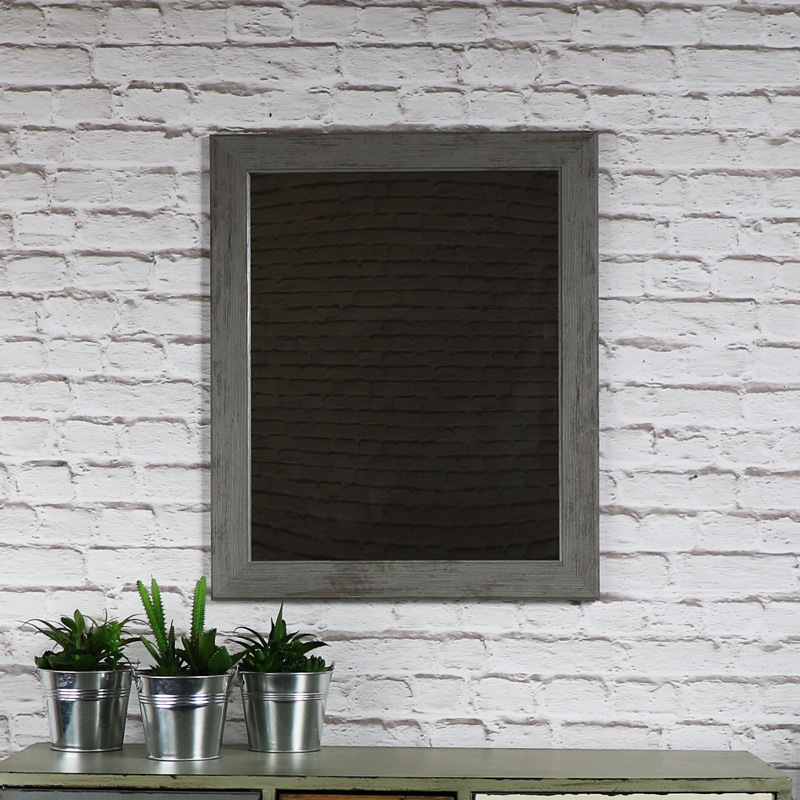 Made from wood in a rectangle shape, the frame itself is made from wood with a grey washed wood effect, the mirror surface measures 38.5cm x 49cm (Width x Depth). Easily wall mounted with hooks on the back and can be hung vertically or horizontally. Our extensive range of wall and floor mirrors offer a great range of choice from the very large wall/leaner mirrors that add dramatic effect to the smaller vanity wall mounted styles, perfect for bathrooms and all the mirrors in between. A range of style, colours and finishes from the ornate French and shabby chic to the more retro and industrial.